Mysuru: The stage is set for the Mysuru City Corporation (MCC) by-election for Ward 32 that will be held on July 2. With less than a fortnight remaining for the polling day, the JD(S) and the BJP have already finalised their candidates while the Congress is still in search of a suitable candidate. The Ward 32 covers Gokulam 2nd Stage, Vontikoppal, Adi Pampa Road, Kalidasa Road, Valmiki Road and parts of VV Mohalla. SBM Manju of JD(S) and K. Madesh of BJP have already started their door-to-door campaigns and are mobilising the youth to ensure the victory of their respective parties. Latest information from Bengaluru this morning says that the Congress has finalised the name of former Mayor B.K. Prakash as its candidate. The by-election has been necessitated following the conviction of C. Mahadesh alias Avva Madesha who was Ward 32 JD(S) Corporator in a murder case. Following the conviction, his membership in the Civic Body was cancelled. Whoever is elected as a new Corporator from the Ward will have a one-year-three-month term. Mahadesh had a strong hold on Ward as he had won it twice from the JD(S) ticket. As such, JD(S) has taken it as a prestige issue. Desperate to retain the seat, the JD(S) has fielded party town spokesperson SBM Manju as its candidate. The BJP has finalised the name of K. Madesh. The Congress, which had lost the ward election twice is yet to come up with a name to give a tough fight. According to City Congress President R. Murthy, names have been finalised and have been sent to Karnataka Pradesh Congress Committee (KPCC) President Dr. G. Parameshwara to decide. 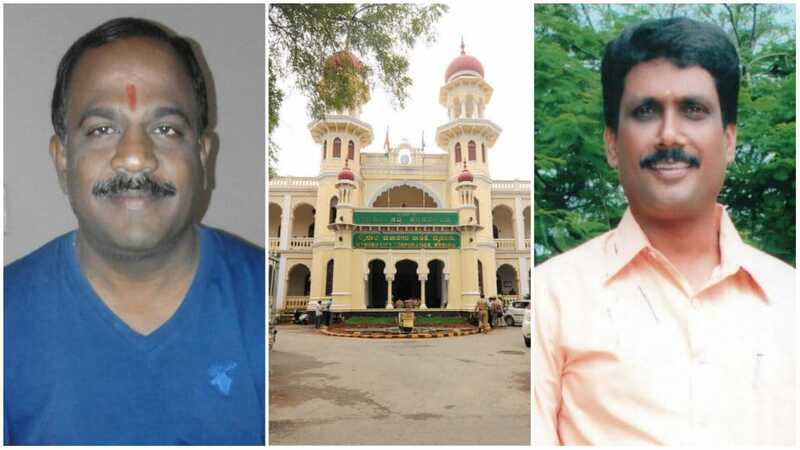 The names have been finalised along with Chamaraja MLA Vasu and the list includes Himamshu, Syndicate Member of Dr. Gangubai Hangal University of Music and Performing Arts and senior party workers Nagaraj, Nagesh and former Mayor B.K. Prakash. While City BJP President Dr. B.H. Manjunath is confident that their candidate K. Madesh will win the election easily, K. Harish Gowda, JD(S) City President is sure of voters backing SBM Manju as the ward was administered by JD(S) for two terms. “We have fielded SBM Manju as he is a popular figure in the ward and the party has a strong presence. Moreover, we have taken the election as a prestige issue and will leave no stone unturned to ensure victory,” he said. SBM Manju was a strong contender for Ward 32 in the 2013 election itself and as C. Mahadesha was already a Corporator before the 2013 election, JD(S) decided to retain Mahadesha and gave the ticket to Manju to contest from Gokulam Ward 31. Manju, however, lost the election to BJP’s Girish Prasad by a narrow margin of 206 votes. Sources said that Manju has good equation with JD(S) supremo and former Prime Minister H.D. Deve Gowda and party State President H.D. Kumaraswamy. This is the reason why Manju was chosen as the party’s official candidate despite C. Mahadesh’s wife Bhagya being a strong aspirant. BJP’s K. Madesh joined the party three years back and has been doing a lot of social service. He is involved in many Kannada-related activities. He had fought election from the same ward in 2007 but had lost. He has bagged the ticket despite stiff competition from Premkumar and Mahadev from the same ward.